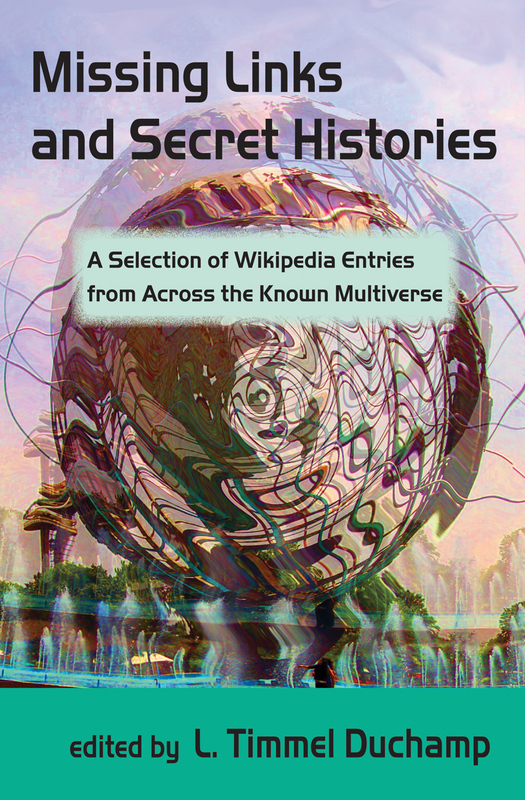 Missing Links and Secret Histories: A Selection of Wikipedia Entries from Across the Known Multiverse is an anthology of short fictions by Nisi Shawl, Anna Tambour, Lucy Sussex, Mark Rich, and others. Ever wonder who that frequent addressee of Anglophone Nineteenth century narrators, “Dear Reader,” really was? About Nancy Drew's mother? Or what the true story on which Edgar Allan Poe based his melodramatic “Fall of the House of Usher" was ? Perhaps it never occurred to you to wonder if there might be a relationship between H.G. Wells’ Dr. Moreau and Joseph Conrad's Col. Kurtz, or why the popularity of fairy attendance waned in the eighteenth century—but Missing Links and Secret Histories elucidates these and other mysteries (some admittedly occasionally obscure). It even includes excerpts from lost or suppressed manuscripts scholars have not even suspected, such as “The V Manuscript” written by the Marquis de Sade in 1783 while imprisoned in the Chateau de Vincennes, detailing an interview between the Marquis and a prisoner in the next cell calling himself “de Hurlevent,” but whom the Gimmerton Theory claims was really Heathcliff of Wuthering Heights fame. Contributors include Alisa Alering, John J. Coyne, L. Timmel Duchamp, Kristin King, Catherine Krahe, Alex Dally MacFarlane, Jenni Moody, Mari Ness, Mark Rich, Nisi Shawl, Jeremy Sim, Lucy Sussex, Anna Tambour, Anne Toole, and Nick Tramdack.